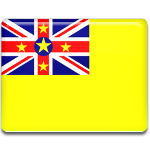 Niue is a small island country in the Pacific Ocean with predominantly Polynesian population. It is inhabited by about 1,400 people. The people of Niue value their culture and tradition which is reflected in the public holidays of Niue. The entire first week of January in Niue is filled with festive activities. It is known as Prayer Week or Takai Week. Festivities combine prayers and church services with traditional dancing and singing, sporting competitions, parades and the tradition, known as takai. The word takai can be translated into English as “going around”. The people of Niue decorate their cars to drive around the island. Usually people from the same village stick together and visit other villages (there are 14 villages on Niue located in two historical tribal areas, Motu and Tofiti). The main ring road of Niue is 40 miles long. While driving, many people toss sweets to children that stayed in their villages. Takai Commission Holiday is an island-wide public holidays, therefore all government offices are closed on this day.